If you are looking for your next great adventure and don’t know where to look to find it? GoingPlaces will have you there in no time. Built by the creators of travel website TravelRedBook.com, GoingPlaces is an easy and free download that serves as a refreshingly abundant resource of dynamic images showcasing exotic destinations, near and far. You are the captain of your ship and you get to sail it where you want to find your next adventure. 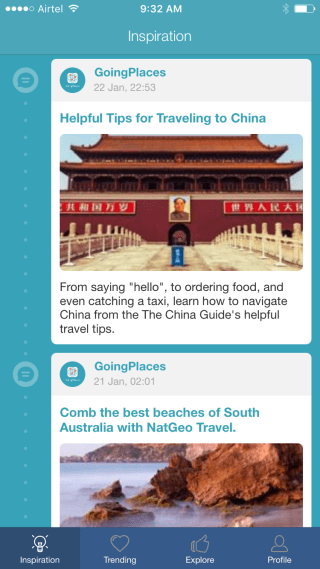 GoingPlaces is first off a social media app for travelers. 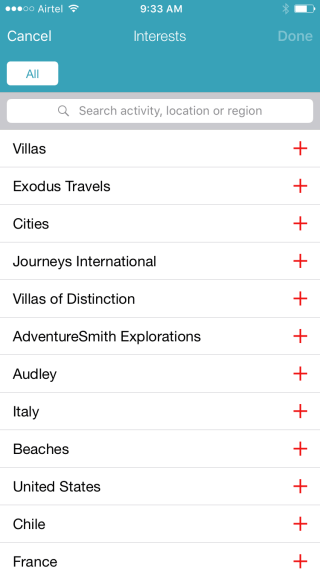 It allows travelers of all types to post, share, and browse the collection of travel destinations listed in the app. 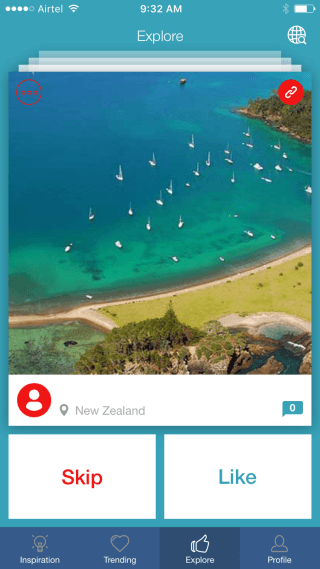 Each destination features a library of photos put up by travel sources and by travelers who are users of the app, so you can get a better feel for the place. 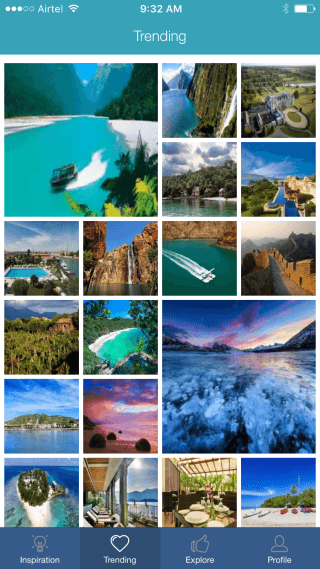 You can also select links to be directly connected with travel agencies that service those destinations. They will help you will planning, reservations, and arrangements. They can even answer questions you may have that are specific to your situation. As you browse through the various destinations, which you do by swiping left, you may stumble across a destination that looks mighty interesting, but a place that you’d like to delve deeper into later. When you are on that destination’s page, simply swipe right and it will be saved in your favorites. While scrolling through the photos, you can also read posts provided by fellow travelers to learn more about their experience in that vacation spot, what they like best, what to avoid, and more. The advice does not have to stop there, though. If you link your Facebook account with GoingPlaces, you will be able to share what you are considering with your friends, and they may be able to chime in on your plans! Not a fan of Facebook? Have no fear…you can register as a GoingPlaces user using an email address. If you want to share with friends and family, you can do so through text messages and emails. You can also setup your Profile Page so others know who you are, what your interests are, and maybe the traveling community can offer up suggestions for sites to look at. The app is perfectly primed for that community driven spirit that makes dreaming of your next vacation so much easier! The only thing I would change in the app is to add better identification of destinations. While scrolling through some amazing photos and reading through colorful descriptions that were left by travelers, I was drawn in and my curiosity piqued; but, I could not find the name of the city or country. It was frustrating at first, but eventually I stumbled across it. GoingPlaces does not want to lose a user, so they should try and fix this. Other than that, this app is an amazing resource that brings together a plethora of resources onto your device, be it your iPhone, iPad, or iPod Touch. You can dream, plan, and execute effortlessly. This looks like a useful app for travel planning, although I’m wondering how they make money? If you want an easy way to search and read reviews on multi day guided adventure tours, check out Stride Travel.